Recently I made my way to a local watering hole to interview the two minds behind Hampshire College’s own independent game development studio, GlowLime. Specifically, I made my way straight past the two kind folks I was planning to interview, which I blame on Isaiah recently having cut his hair and my own natural tendency to avoid eye contact with anyone in public. Eventually, I found my way to their table and sat down with the two of them to talk about what GlowLime is and what it’s doing for Hampshire students. James Olchowski: Thank you both for meeting with me! Chandra Hughes: Thank you for having us. Isaiah Mann: It’s nice to be here! IM: GlowLime Games is a collective of student game developers that just formed last semester, and the goal is that we’re a matchmaking service that gets people paired into teams working on student concepts. We try to be a mock industry process for game production, they’re accountable to deadlines and they work in a hierarchy and bring the builds back to us. We’re trying to simulate real workflow. JO: So GlowLime isn’t a development studio, it’s a publisher? IM: We’re both, the main goal is providing student teams the resources. We have our own management team to provide support but they have their own teams. CH: All the students that work do work as ‘collaborators’ under GlowLime, so technically they do develop games for us, but they are separate teams. JO: So is this a Hampshire organization? A club? An independent company? IM: The goal is to integrate it with Hampshire as a student group, it’s not a profit-making enterprise. Any money just goes toward providing people with more resources. Long term we’re trying to get student groupship at Hampshire and to expand to the rest of the five colleges. JO: So what’s the end goal here? How many more years are you here? IM: This is my second to last year, so two more semesters for me, three more for Chandra. JO: So what makes this not implode after two or three semesters? IM: We try to stagger people across years so that as people leave we have other students waiting to replace them. We’ve got everything from seniors to first years as collaborators, and we have people from multiple years on the management team. CH: The goal is to have younger students, freshman, come on and act as assistants so that eventually they’re ready to take over management tasks. We did start up last October and established the management team from October to January and just started dev work this semester, so it’s hard to say exactly what the plan is at the moment but the goal is to have GlowLime exist without us. JO: Is the goal to continue as an exclusively student organization? As a curriculum piece? CH: Right now anyone on the team can get credit for it, a lot of people are doing it as an independent study and some people are doing it as community engagement. One of the goals is to have advisors from the community, like Pat King and Ira Fay, and we have some people helping us who aren’t students. Ideally we’re trying to bring in people from the academic community in the five colleges, but we’re open to anyone with experience. IM: We’ve talked to Hampshire’s school of Cognitive Science about getting a course together using GlowLime, too. Really the reason we started was because we noticed a gap in terms of game development classes available. We’ve got Ira Fay and we have Rob Daviau and Pat King, and then we’ve got Joshua Newman at UMass, but not much else. CH: For our Fall semester classes, there’s no game project class. IM: Right there’s no class that involves getting a team together with the goal of making a finished product. JO: So why did you start GlowLime instead of just working on your own independent work outside of school? If you have an interest in developing games, why not pursue that exclusively instead of trying to insert it into the curriculum? IM: There’s just not enough of an integration of the local game development community. I’ve met so many great people by bringing together this group that I’d never have met solo, and we’re meeting a need for other students by bringing together this broader network. JO: So I know Chandra is already hip-deep in Chisa Studios. What brought you two together to found GlowLime? IM: Well, I was the person who initially had the idea while I was at MassDiGi this past summer, and brought together the initial management team, but I credit Chandra as being a co-founder alongside the rest of our excellent management team. CH: And well, Isaiah and I have been friends for years. JO: Well yep that’ll do it I suppose! CH: I’ve also always been interested in the production and management end of things more than strictly development work, and this was a way to get more deeply involved in that across a wide variety of games and teams. JO: So I know you’re specifically interested in producing games, Chandra. Are you finding a lot of people come to GlowLime interested in management and production rather than development work? CH: A lot of our collaborators are interested in a specific field and also interested in management which is hard for me. I’ve dabbled in audio and took an animation class – never doing that again – but not really much development. All of our teams have leads, too. We have a producer, assistant producer, and then leads for art and programming. The people who are producers are also usually interested in another field. Like Isaiah is the producer for Lex The Wizard but is also involved in development. We have Noah, who’s the producer for Winter Break. Joel and Sean are producers for The Experiment, and Sean’s really interested in design and Joel’s a programmer, but they’re also really interested in management. Currently I’m the only one interested solely in production. JO: Is the goal to eventually have producers who aren’t directly involved with projects? An actual external producer rather than people working on their own games? IM: This semester the teams were set up by our excellent hiring manager, Grace Barrett-Snyder, from Smith College. All the teams and roles assigned were carefully set up by her, Chandra, and myself based on their skills and interests. We have a two-tiered setup. Chandra is specifically the Operations Manager who serves as the liaison between the management and development teams. It can also depend on the size of the project. People working with a smaller team need more direct help. I’m producing Lex The Wizard, created by Marcus Maulucci which is a cross between Harry Potter and Hearthstone, and I’ve worked with the game’s code as well. JO: So are you only looking for students? Is GlowLime designed specifically for students from the Five Colleges to take their projects? CH: Explaining MassDiGi might help a lot. IM: The basic concept of MassDiGi is that they’ve identified a gap between what colleges teach and what companies look for in terms of professionalism. One of the main inspirations behind GlowLime was their Summer Innovation Program, which I was involved in last summer. It takes teams of five students from colleges around the world and tasks them with developing a mobile game. MassDiGI also do run a similar program during the school year, more part-time. We’re imitating that model more closely. MassDiGI is currently based out of Becker College, and they’re looking to expand to RISD (Rhode Island School of Design) and Hampshire. We do have a lot of students involved with GlowLime, but we have also have a few developers who aren’t associated with a college. We have advisors from local industry and local game developers like Marcus the creator of Lex, and Timothy Adan one of the audio designers for Lex. JO: What’s the life cycle of a game that gets produced via GlowLime? Once someone gets a game accepted, where will it be in a year? IM: That’s kind of variable. Right now we’re working on a semester-by-semester timeline. We started with a deadline of April 22nd, but we’re revising that. CH: Well, we’ve actually got a couple games on track to hit that deadline. CH: Well, we did make Word Snack in a semester during the game dev course at Hampshire. It’s doable, it’s just hard. JO: So once you’ve hit that deadline and shipped in a semester, what’s the end state? Do you publish to Steam or what? IM: Well we try to keep people on their goals, and those goals can be varied. We want people working with deadlines that work for them. In terms of a final product, we’re trying to get published through the App Store, Google Play, and Steam Greenlight. But we’re a non-profit, so there’s no actual revenue to distribute. If individual teams want to go to a for-profit model all we ask is that they give a nod to GlowLime in some way. JO: So the non-profit status allows you to simplify a bit, there’s no reason to deal with revenue, you’re just getting grants and working through the colleges. JO: So releasing doesn’t necessarily net you any profit. What about the people who work with you? What if they have a big success, do they get anything out of it? CH: I don’t know if this completely answers your question but for example GlowLime just brought 13 people to the MassDiGi Challenge, to get funding via grants. It was a game pitch competition, and there was a first prize award of $2,000 on the table. And we had a conversation about where that might go. Now we weren’t planning on selling the game, but if we got this money we felt like it should be distributed by the winning team as they see fit. JO: So if any individual team is responsible for some windfall, the team is responsible for figuring it out? Including “never mind, we’re going to go for-profit instead”? IM: Yeah, if someone is ready to move into the next phase and develop professionally, we’re happy to let them fly free with that. Even if that’s a bit beyond our scope as an organization. JO: So do you have official measures to deal with copyright? IM: We set up a pretty simple copyright agreement. Basically just “we have rights to work on the games you bring to us”. CH: We’re also looking to get things set up as open source. IM: Yeah we’re not really looking to take any rights away from anyone, just making sure that we can work on and publish the game without issue. If they want to do something else with it afterward they can go for it. JO: So after speaking with Chandra, I know she’s mostly into production. What got you interested in gaming, Isaiah? IM: Well I did play a lot of Age of Empires, but as far as game development it was mostly Ira Fay’s course at Hampshire. I was surprised at how much I enjoyed programming in Unity and I really wanted to pursue that. JO: That’s interesting. I know very few people who weren’t aware they enjoyed programming until college, it seems like most people I know either get into it early or avoided it altogether. When you got to Hampshire what was the plan? IM: Actually I was into theater. The plan was to be a playwright and actor, and it just turned out I was terrible at that. I liked coding so I’ve been pursuing that. JO: So you guys each have a few semesters left at GlowLime. What’s the plan after that for you two? IM: For me I’m definitely looking to go into software development. I’d like to start as a software engineer at someplace larger so that I can get used to working with other developers. Maybe after I’ve got some experience under my belt I can go for something smaller and more independent. JO: So is your ultimate goal to stay in games? Or are you interested in software engineering in general? IM: Preferrably game development, but I’m not picky. JO: Has Hampshire prepped you for that sort of work well? IM: Hampshire really stresses independence. That can be a perk, and it can make you a bit of an odd duck. But I feel like I’ve had a wide variety of practical experiences that mean I’ll be ready to work somewhere after college. JO: So what about you, Chandra? CH: Well, I have 3 semesters left, so I still have Div III to work on. JO: And what’s Div III? CH: Well, at Hampshire your entire last year is big sort of senior project. Isaiah’s using GlowLime as his Div III, and I don’t know what I’m doing. So that’s step one. As of right now I’m looking for a production internship, and I’ve applied to the Summer Innovation Program at MassDiGi. But because the projects are so small, production experience alone isn’t enough. So I’m interested in trying to learn the bare minimum of UI design to be able to apply and have a better chance of getting into the program. Overall, I’m interested in being a producer for a smaller studio. I feel like in larger organizations it’s a bit too profit-focused to offer interesting decisions. Also, just applying to a lot of jobs post-graduation. JO: Yeah there’s sort of an understanding that included in any post-graduation plan is “try to not starve to death via getting some job somewhere”. JO: So the thing is what I usually hear as the story of an independent studio is ‘I’ve paid myself $10,000 a year for 5 years to get this out’, not necessarily having a producer. Do you think Kickstarter/IndieGoGo stuff has altered this, made it more necessary for even small studios to have a producer? CH: I actually think for games Kickstarter is kind of on the way out. As for me personally the thing I’ve noticed for smaller companies is that there’s a more homey environment. Petricore, for instance, is a pretty successful company that I got to see some of and they seemed to work well. IM: Yeah I actually interned at Petricore. They came out of the Summer Innovation Program as well, and they were just a few months out of college when they created their studio. They’re a team of five developers who are close friends and actually live together. They’re really pleasant to work with and it’s impressive how hard they’ve worked to release games. Barely six months out they’ve already released two titles, Mind the Arrow and Gelato Flicker. JO: So is GlowLime exclusively digital, or is it platform-agnostic? IM: So far we’ve gone all-digital because that’s my wheelhouse. But Sean Billson, our Projects Manager is really pushing for analog games. Joshua Newman has also spoken to us about hybrid games, for example adding some digital component to a boardgame. JO: Sort of like the XCOM boardgame? IM: Exactly yeah. We’re interested in trying to expand as far as we can while keeping our scope reasonable for a team our size. JO: So Chandra, are you interested in analog games? CH: Not really. I’m taking a course about narrative in boardgames right now, because narrative is important to me. That’s why I’m so into visual novels. I couldn’t see myself doing tabletop as a career. The whole time I’m just like ‘but if you could CODE this…’, it’s just frustrating. JO: So to both of you, are there any games that you think people should see that they haven’t yet? IM: Well I haven’t really been keeping up, but I’ve seen some impressive stuff done with VR. There was a team, Intern Astronaut that won at a MassDiGi competition: Games Challenge 2016. The title was very impressive. There’s also Flora Fiora by Zephyr Workshop which another winner at the same pitch event. And then there’s new a game from Petricore: Travelling Merchant, selling items to heroes in a fantasy world that’s looking very neat. 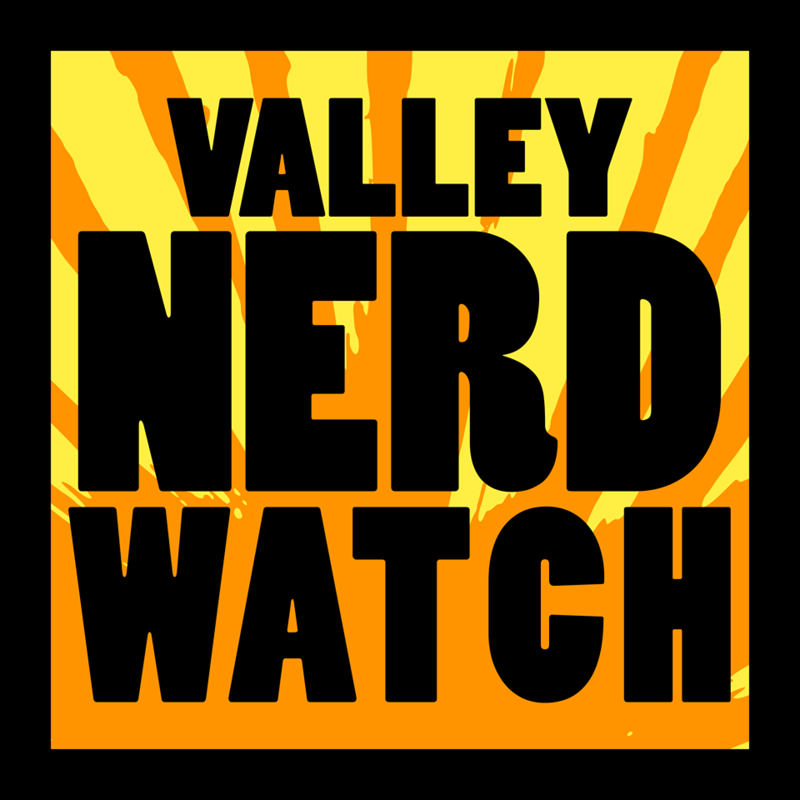 Thank you for speaking to the Valley Nerd Watch, GlowLime! Best of luck to everyone on the team. Right now you can check out glowlime.com to see the full lineup of games GlowLime is developing and you should make sure to attend their Pitch & Interest meeting tomorrow, April 9th if you’re interested in pitching them a game or learning more about the organization!